Where to dive in Europe? Where to ski in Europe? I decided to devote a separate post to my Auschwitz Tour. It’s because it was the most important thing that I had done on this country. 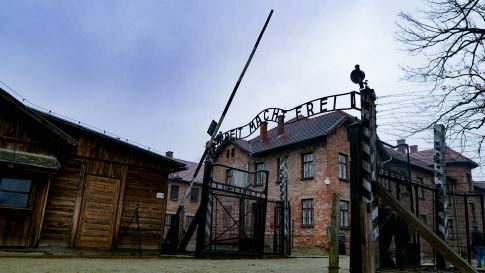 If you have a chance to visit Poland, don’t miss the opportunity to go on Auschwitz Tour. Absolutely everybody should see it. I booked my Auschwitz tour online for the next day and everything seemed to bee fie. However, as I got into the bus I found out that I booked a double trip! It was Auschwitz tour connected with a visit in Schindler’s Factory. Nevertheless, I wasn’t angry. Quite the opposite – I was happy to see more historical places in one day. Anyway, the first part was Auschwitz tour, that took around 5 hours. We’ve visited two parts of the former Nazi concentration camp. Auschwitz I and Auschwitz II-Birkenau showed me how Holocaust in occupied Poland looked like. It’s hard to describe it with words. I guess you just have to see it through your eyes. What have I seen there? Most of all, I’ve seen terrifying evidences of inhumanity. Ruins of gas chambers, crematoriums for burning corps, piles of prisoners shoes, glasses and hair… Moreover, I found out about Nazis ideology that occurred to be much worse that I had learned in school. All in all, there are numerous reasons to go on Auschwitz tour. Not only you can learn a lot about the history of Holocaust, but also can look inside yourself. I mean by that – you’ll have to get to grips with your emotions. 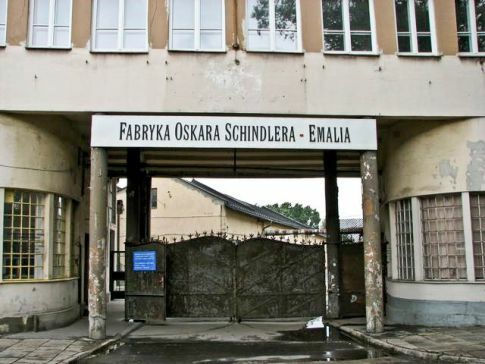 The continuation of Auschwitz tour was Schindler’s factory museum. It’s great addition to the knowledge about Jewish history in occupation times. To be honest, it was one of the greatest museums I saw in my life. All the exhibitions there are interactive and unbelievably interesting. Walking into the museum, one can feel as he went back in time to the period of World War II. Seriously, I felt like I stepped back into history. Photographs and videos of an old Krakow were brilliant. At the same time they were very touching as I learned moving stories of life of many Jewish ghetto residents. I guess the most thrilling were children’s pictures and photographs of the people that Oscar Schindler saved. To sum up, I was totally satisfied with my Auschwitz tour. Although I didn’t mean to go on double trip, it occurred to be good coincidence. Instead one extremely important historical place, I saw two in one day. I truly recommend this kind of tour to everybody. Also, the company that I was travelling with provided everything I needed including hotel pick up and drop off. © 2019 My Adhd Site. All rights reserved.